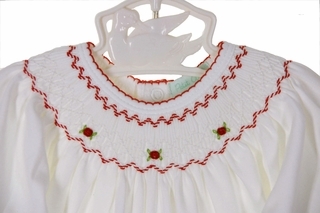 Made by Petit Ami, a leading designer of classic children's clothing for more than 40 years, this precious little white convertible baby gown features a smocked yoke with red embroidered rosebuds. Made of softest pima cotton knit, it has a back snapped closure with a simple round neckline and long sleeves with elasticized sleeve ruffles. 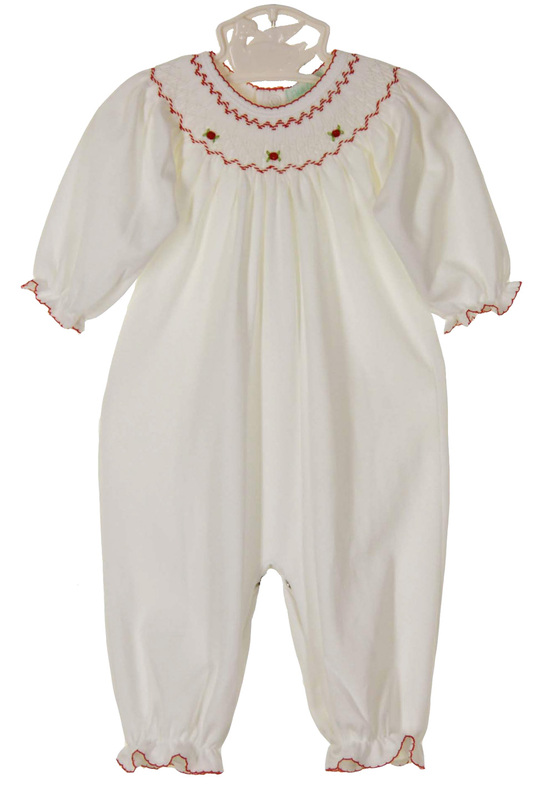 The long gown is elasticized at the bottom and converts to a romper by reversing the way it snaps. 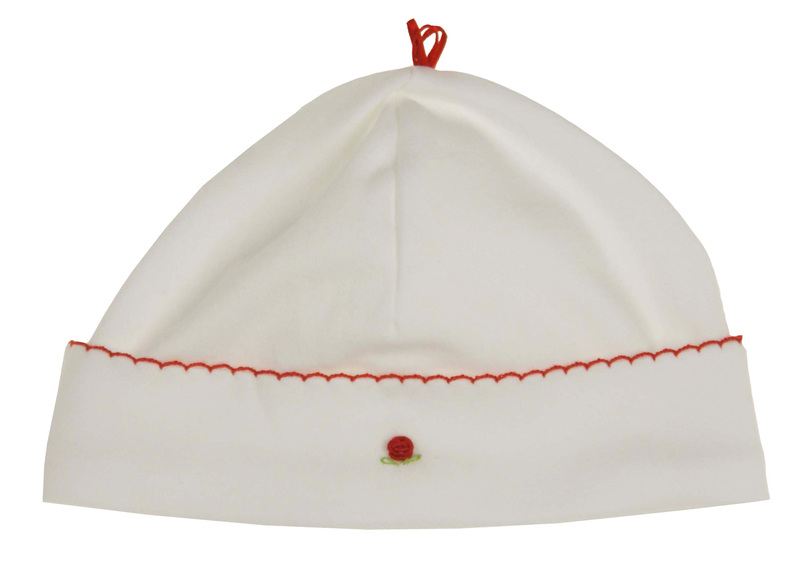 It even comes with a matching hat. 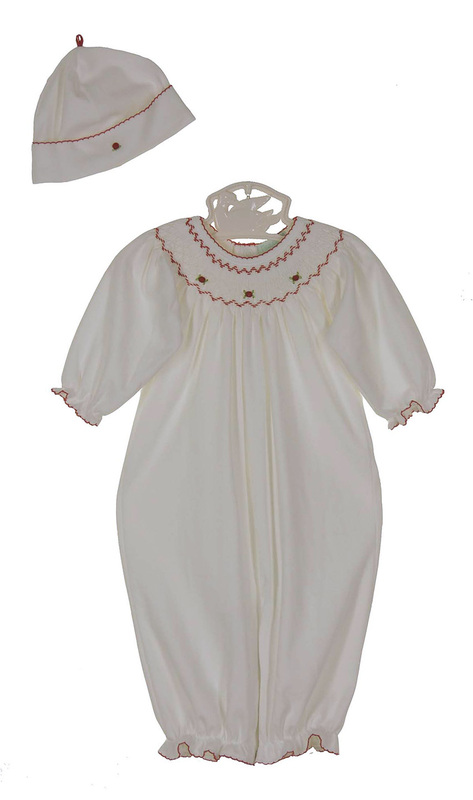 Perfect take home or Christmas gown for your new baby girl! Note: Matching blanket is also available. 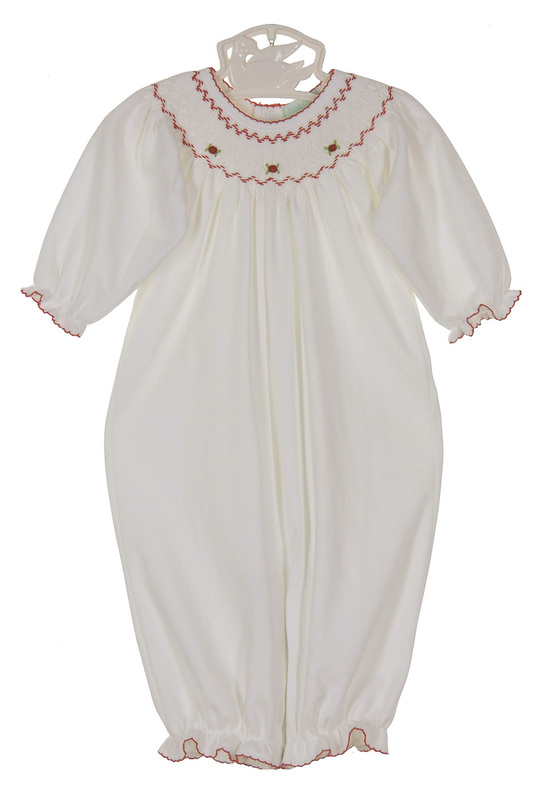 Similar convertible gown is available in pink. See below.